Cast-iron skillets are great for all-year-long cooking on the stovetop, but their ability to take serious heat means they're also great on a grill. 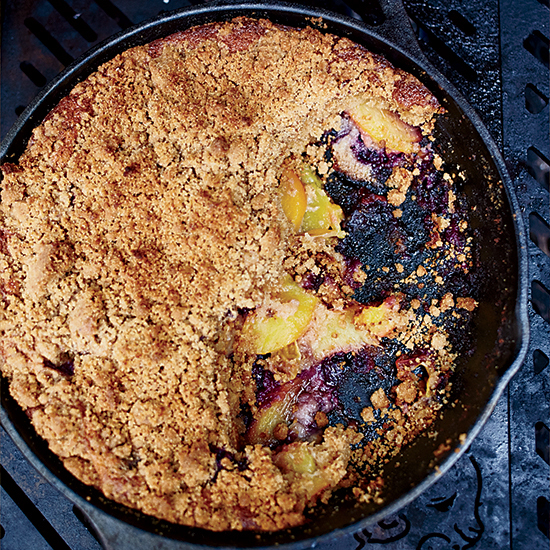 From smoky grilled beans to sweet graham cracker-studded cake, here are five reasons a cast-iron skillet will be your go-to for summer grilling. 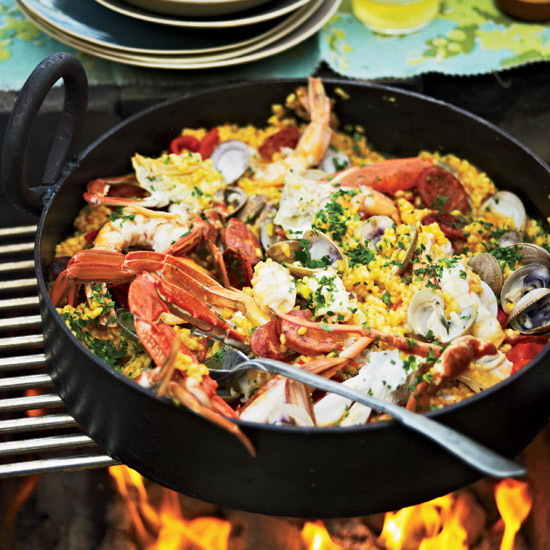 To cook this seafood-and-chorizo paella, chef Pete Evans uses his grill as both a stovetop and an oven, simultaneously using direct and indirect heat. 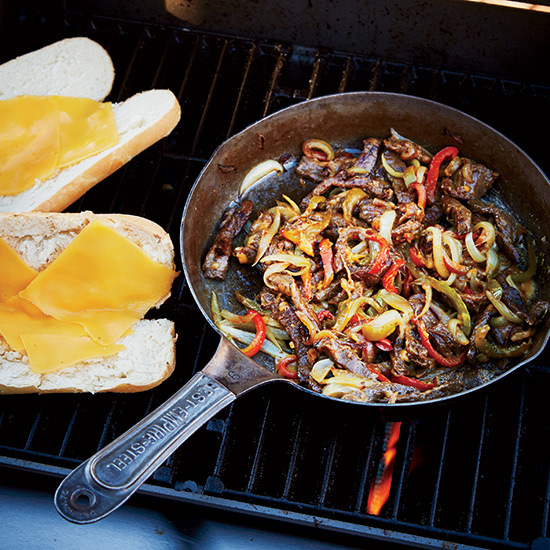 Use a cast-iron skillet on the grill to make butcher Tom Mylan's incredible steak, onion, pepper and cheese hoagies. 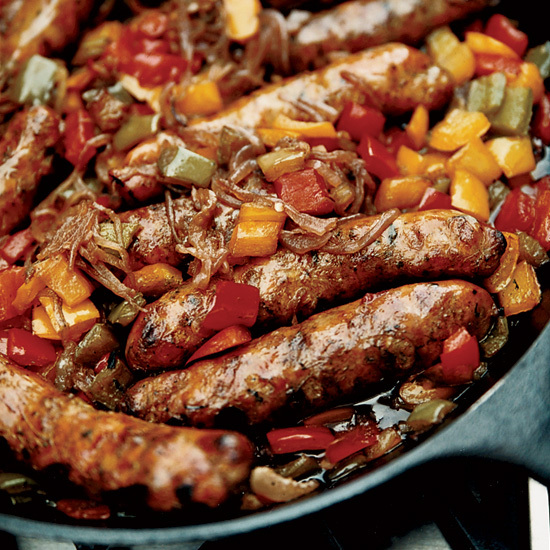 "This is my take on the Little Italy classic," says Mario Batali of the sausage and peppers that's a mainstay of the iconic Manhattan neighborhood and its annual street festival. 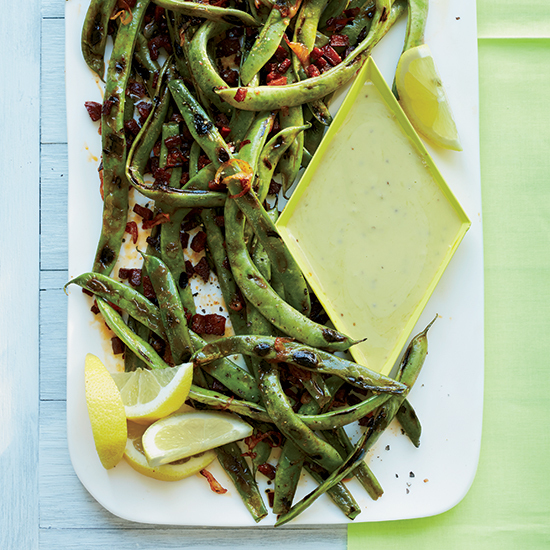 It's delicious on its own or served with pasta. Star chef Stephanie Izard's cake, which bakes on the grill, gets amazing flavor from graham crackers mixed into the batter.